Welcome to Northern Virginia’s premier site for Western Prince William County real estate, where you can also search for Real Estates in Fairfax, Western Prince William and Fauquier County. Whether you are planning to relocate or sell your current home you will find all you need to plan your next move with the use of our Prince William County real estate search tools. Northern Virginia’s close proximity to the Nation’s capital makes it an ideal place to live and a sound housing investment as numerous military and civilian job opportunities are still available at a time when the bulk of our country’s economy has become so precariously uncertain. Washington DC, the epicenter of the Federal Government, has made it an area that attracts numerous talented professionals serving roles as government officials and contractors. Several technology firms and governmental enterprises are located here and the local communities, which include Fairfax, Prince William and Fauquier Counties all with excellent standards in education, with top notch schools and teaching awards. 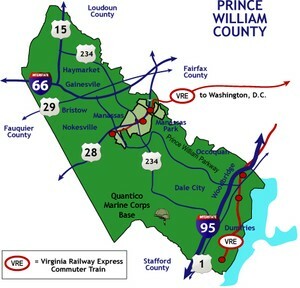 While Northern Virginia is largely urban, when you reach Western Prince William County and Fauquier County the scenery transforms to a welcoming landscape giving way to views of the Blue Ridge Mountains, equestrian meadows, dairy & beef cattle farms and numerous award winning Vineyards. This area is a magnet for families that choose to commute to Washington D.C. or the Technology Corridor but prefer to live near the pleasures & treasure of Virginia's finest rural communities. 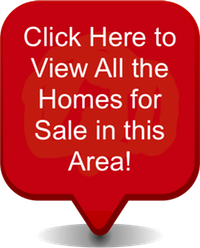 Enjoy the best website for Prince William County real estate search and be sure referring it to your friends. We are happy to share all that we know about homes for sale in Fairfax, Western Prince William and Fauquier Counties!